Add some colour and style to your kitchen and get cooking with the stylish Scion Living Dandelion and Pebble range. 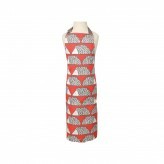 Fun and vibrant, look your best while continuing to remain protected when cooking in the kitchen. Made with the finest cotton, this bundle is superb for those wanting the basics for their kitchen. Featured in the bundle is our apron. Measuring at 70 x 90cm, this cotton apron comes with an adjustable neck strap and extra-long waist ties. Machine wash at 40°C, this apron looks superb when partnered with the rest of the Scion Living range or matched with Lintu Dandelion and Pebble. The double oven glove featured in the Lintu collection is super stylish and is made to the current enforced safety standards. 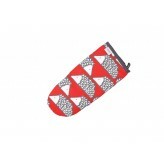 Conforming to both the EN407 & BS 6526:1998 standards, this double oven gloves carries the CE mark. A steam and grease proof barrier have been included, while this double oven glove measures at 89 x 19cm and is machine wash at 40°C also. 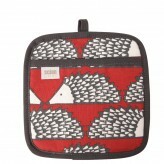 Featured in the bundle is our set of 2 Lintu tea towels. 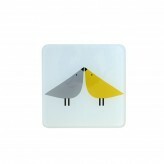 Stylish and trendy, this set of 2 tea towels comes in 2 fun designs featuring the adorable Lintu birds. Washable at 40°C, these tea towels measure at 50 x 70cm and come with a hanging loop for safe storage. When purchasing this fun, must-have bundle, included for FREE is the versatile and essential silicone spatula from the Lintu range. The Scion Living Lintu spatula is heat resistant to 240°C and comes with a flexible silicone head, safe to be used with non-stick pots and pans. A smooth beechwood handle has been included for comfort when using, whether that be for cooking up a spicy curry or icing a cake. 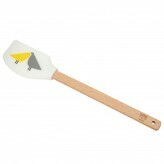 When it comes to cleaning your new spatula, we recommend hand washing. 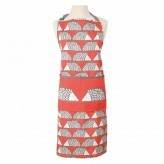 Embrace your love of cooking while looking super stylish when in the kitchen.